Great news for California community schools! The California Milk Processor Board (CMPB), the creator of GOT MILK? 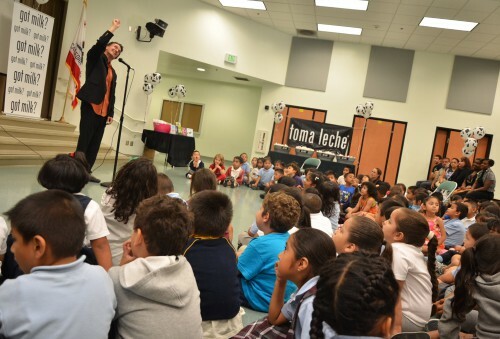 and TOMA LECHE, is hosting a reading event at various schools in California with Latino Storyteller and Author Antonio Sacre (A Mango in the Hand, La Noche Buena – A Christmas Story and The Barking Mouse). With kids going back to school, parents need to do everything they can to ensure their kids are performing well in school. However, as parents we also need to realize that a productive date starts with a good night’s sleep. Through the reading events, the author will raise awareness about the importance of proper sleep to ensure children get a good night’s sleep and prevent fatigue and irritability. Studies show that a warm glass of milk coupled with a bedtime ritual of storytelling can help provide a good night’s rest, while promoting family bonding. The National Sleep Foundation reports that school-aged children up to 12 years need at least 10 to 11 hours of sleep daily. Yet health experts say distractions from busy life and influences from technology such as computers and video games result in inadequate sleep in children today. To help parents cope, GOT MILK? 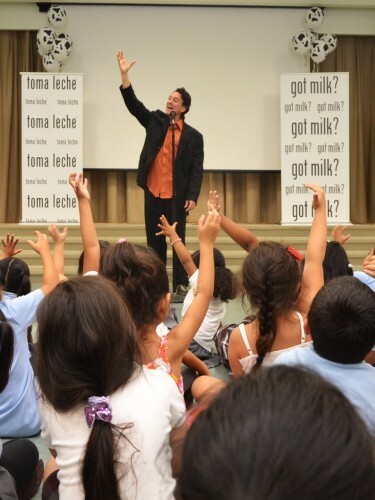 & TOMA LECHE have created eight bilingual milk-themed bedtime children’s stories specifically created for the campaign. “The Waves on the Moon,” “Thirsty Carlitos,” “A Day with Pedro” and “Elena the Slurping Monkey,” “Benito the Grumpy Elephant,” “The Lake’s Secret” and “Dante’s Monstrous Monsters” and “White Downpour” will be available for download for free at www.otroscuentos.com starting today. What a great initiative to educate parents and students! Download a free bilingual book at www.otroscuentos.com . Which bilingual book did you download? What bedtime story is your favorite? I’m very excited to announce that I’m a Big Brothers Big Sisters Latino Recruitment Ambassador. Latino Bigs, A Latino Recruitment site will launch on Monday, September 14, 2012! 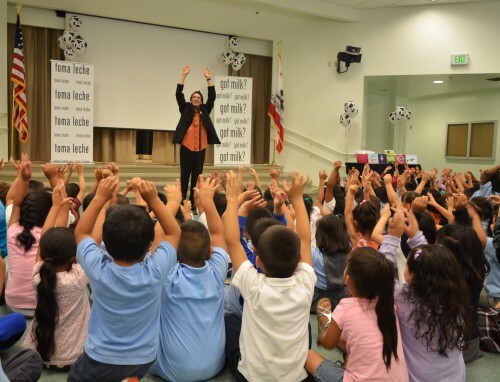 The site encourages Latinos to mentor Latino youths. Many of us have influencers in our lives. As children, teens or adults we have been influenced by positive role models outside of our immediate family who saw something in us that we did not see in ourselves. Teachers, coaches, neighbors, co-workers, clergy and family friends are all people who serve as mentors in informal ways every day. I’m very fortunate that I have had many positive role models in my life. In High School my teachers and advisors always challenged me to do better. Many of them went out of their way to encourage and motivate me as well. 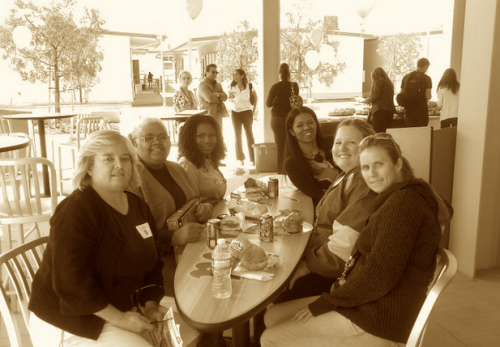 I took on many challenging roles as the result of their guidance and support. While I was in High School I took English and was active in sports. My English teacher Mr Nicolof always made his class a lot of fun. He always allowed us to learn English creatively. We also learned the story of Macbeth by participating in a play for the classroom. My English teacher was also the football coach and my soccer coach. He really pushed me to do better in the classroom and as an athlete. After our games he would go out of his way to give everyone on the team a ride home if they needed it, including me. I believe the continued support and encouragement of my teacher and coach made me a better person and provided the environment and opportunity to excel. It also gave me the self confidence to challenge myself when I went to college and inspiration to become a mentor to others today. 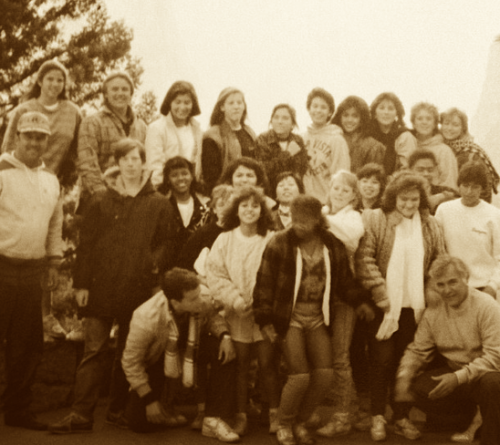 While in High School our Dean of Activities took a group of young leaders on a one week trip to Yellowstone Park. It was a trip of a lifetime for many of us. During the year he acted as a guidance counselor of our young ASB leadership team. A couple years ago I had the opportunity to catch up with with Mr. Nicoloff and Mr. Cinaris. They are both very proud of the accomplishments I had made in my life. Last year I also surprised Mr. Nicoloff in his English classroom. He is teaching and making a difference in his student’s lives. It’s one of the reasons I continue to proudly give back to my alma mater. Not everyone has the opportunity to have mentors in school. That is why I’m so glad a program such as Latino Bigs exists. About 20% of the children Big Brother Big Sister program serves are Hispanic – a number on the rise. Yet, only 9% of Bigs are Latino. Also, more than 70% of the children ready and waiting to be matched with a mentor are boys, yet only 3 of 10 volunteer inquiries come from men. Children need a boost in self-esteem and encouragement to believe in themselves that only an adult can give. Guidance and consejos can come in the form of sharing a personal story about the difficulties of algebra. In honor of National Hispanic Heritage Month we will also be hosting a Twitter chat on October 10, 2012 to discuss the importance of mentorship among the Latino community. Please join Latina Mom Bloggers and Big Brothers and Big Sisters on Wednesday, OCT 10 from 7- 8:00 pm ET for a Twitter CHAT! If not us, who? If not now, when? Volunteer Now. Question: Have you ever mentored a child? Have you considered mentoring a child?